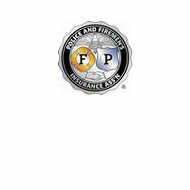 You will notice several unusual and interesting things when first visiting the Police and Firemen’s Insurance Association website. First, the PFIA site is a “dot org” site, which is usually associated with not for profit organizations. Second, along with a picture of PFIA headquarters in Carmel, Indiana and the usual company mission statement is a list of the holidays that PFIA observes and closes for during the year. The third item of interest can be found by clicking on the standard “contact” button. Unlike the majority of commercial insurance carriers, who provide only a street address and phone number, you will find a complete roster of employees, their job titles and telephone extensions. PFIA is especially proud of its scholarship program. Each year, PFIA selects 100 children, first, second and even third generation descendants of its members, to receive four-year college scholarships. In 2010, this amounted to $1000 per student, per year. The names of all the award recipients, their schools and fields of study are listed on the PFIA website. This is just one more example of what makes PFIA unique in the insurance industry. There are additional family benefits provided by the PFIA fraternity. These include special benefits for orphans, insurance coverage for children who would normally be considered “uninsurable,” memorial funds and reward funds for citizens who provide information in cases where members have been injured or killed. There is also a hall of fame for those who have responded heroically in the course of performing their sworn duties. Members of this group are also recognized on a special website page, http://www.pfia1913.org. The Police and Firemen’s Insurance Association does sell life insurance! Whole select life with level premiums and available riders including, 10, 20 or 30-year level terms, premium waivers and special child benefits. Paid-up policies continue to pay dividends and accrue additional interest income. Annuity accounts are designed to provide guaranteed income for retirees. PFIA Flexible annuity programs include standard IRA and Roth IRA products. Current interest rates range between 4% and 4.5% depending on the member’s account balance. Prior to retirement, earnings are tax-deferred. Accident coverage alone is available with riders for members who suffer non-fatal burns or gunshot wounds. Spousal coverage is also available. Your local PFIA representatives and agents can be found by visiting by visiting their website and clicking on your state or region. Individual names, addresses, and phone numbers are listed for each locale. It is important to note that all PFIA agents are active or retired law officers or firefighters. Positions are part-time and all company representatives are well supported and compensated for their service. If you are interested in becoming a PFIA account representative, visit their career webpage. The Protector is published four times each year highlighting the activities of police units and fire associations across our nation. Subscriptions are free to members and available for non-members at just $10 per year. Contact the PFIA home office for more information. This is just one more good way to support the efforts of your local police and fire protectors! US citizens who work as police officers and firefighters put their health, safety and their lives at risk each day. The Police and Firemen’s Insurance Association exists to provide support to these critical public servants. I purchased several PFIA policies around March of 2013 after tearing my meniscus on a burglary call and they took effect around April or May. On May 24th while beginning the PT test which would have put me back in a full duty status I blew out my ACL. Surgery on the ACL was performed July 22, 2013, and due to complications I had to have a third surgery which was done on March 6, 2014. Now trying to do the right thing and understanding that the initial injury was not covered under the policy I submitted a very detailed timeline outlining the circumstances and clearly stated that my ACL tear had nothing to do with the initial injury. I explained to Mr. Episcopo that I was in fact in good health as I am not obese, I do not suffer from any heart problems, diabetes, and so on. Mr. Episcopo then stated again that I was disabled and due to my disability I was not in good health. At this time I was also informed that he canceled my policy and that they will not be paying on the claim as they do not insure disabled persons. In an attempt to explain to Mr. Episcopo that the initial injury had nothing to do with the ACL tear and that I could prove such by obtaining a letter from my surgeon, and after requesting several times that he stop referring to me as disabled I requested a copy of their definition of “good health”. Mr. Episcopo stated that there was no policy in writing and that it was merely a verbal rule that the company follows. I then explained to Mr. Episcopo that any reasonable person would view good health as someone who does not suffer from and disease, diabetes, heart problems, etc. It’s needless to say that trying to have a conversation with Mr. Episcopo was pointless. The conversation ended and I hung up the phone feeling belittled and a little less human. It’s a shame when you pay into an insurance policy expecting that you will be covered and when you actually need it you’re shunned and berated when filing a claim. Due to my experience, I would not recommend PFIA to anyone who may actually have to file a claim that would possibly pay a decent amount of money. I have maintained a disability policy for over 15 years with PFIA. I made one claim for stitches almost ten years ago and nothing since. Recently I found out I had a labral tear in my hip which required surgery. I have been out of work since October 2014. Since I was unable to point to a specific date or incident which caused the injury which I believe happened just weeks prior to being out of work as well as admitting to the doctor that the area was sore previously but not painful as it was when I was diagnosed my claim was denied. I know of two other officers in my agency alone that have denied payments as well for injuries out of work.This insurance is a scam in my opinion and I will be dumping this policy. It is convenient that they are located in Indiana with no local agents near NJ. I would NOT recommend this agency. Go with one of the more know carriers and have your lawyer fill out the paperwork! I have a severe back injury ran out of sick/vac still fighting workman’s comp to fix my back police and fire denied my disability claim and never even offered an explanation. To all the ladies out there, stay away from this company. I had the same situation as Andy and Speedbump when it came time for them to finally pay out a claim. I was a customer for ten years when I needed to have double hernia surgery. Because I could not point to a specific incident which caused the hernia, my claim was denied. I attempted to give my side of the story to Peter Piscopo who did not want to hear anything. He was rude and demeaning. This company is a joke and does not care about police officers/firefighters like they claim. All they want is your money. Take your business elsewhere. I have had this insurance for many years on the family plan. Through the years had several claims, no issue. Wife has had some injury they paid. You have to do what they ask and document any treatment or injury surgery. Several guys I work with have this coverage, one guy has three boys that played sport throughout school, always in ER always got paid. Maybe is a rep thing but this company is legit as long you do the right thing. I would highly recommend this insurance. Absolutely the worst accidental insurance company out there. They pick apart your claim form to make sure they don’t pay you. When you call and complain they basically tell you are beat.